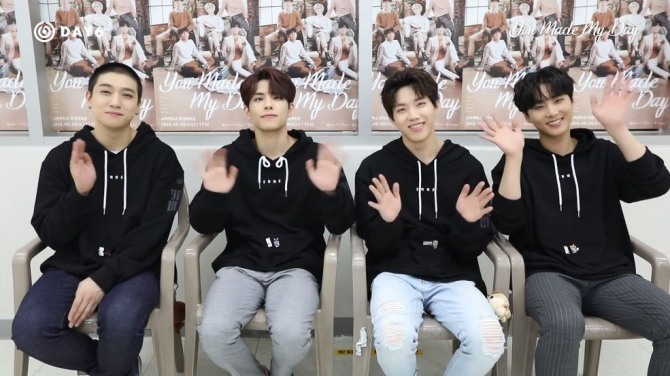 Five-piece Day 6 released more scenes from its first fan meeting, “You Made My Day,” held on Sept. 8. 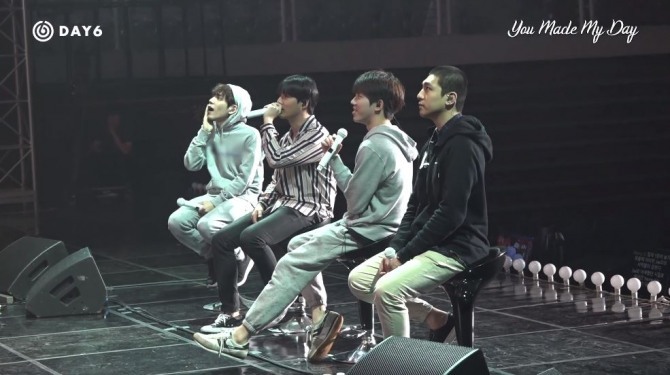 In the previous video released in August, the bandmates excitedly told fans about their first upcoming fan meeting and shared a video of themselves taking photos for individual posters. 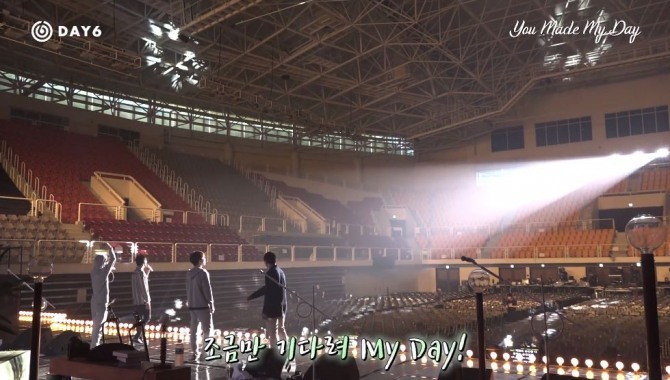 The clip released Thursday starts with Day 6 doing rehearsals just before the fan meeting and showed a few highlights. 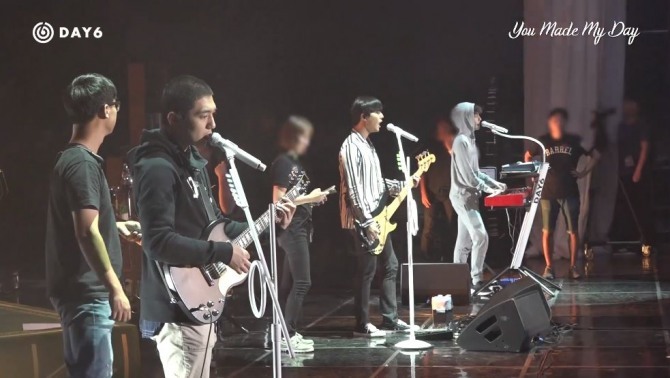 In casual clothes, the band rehearsed thoroughly for the same length as the actual fan meeting, checking for accuracy in music and choreography. 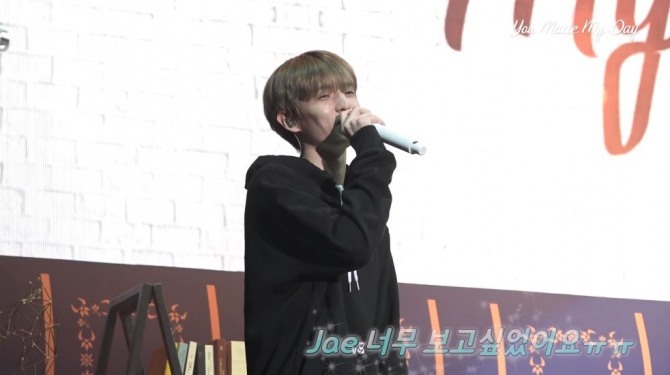 However, as shown in the latter part of the video that features Day 6’s showcase, Jae makes a surprise appearance onstage, telling fans he really missed them. Sharing various moments with the fans, Day 6 brought its first fan meeting to a close. The bandmates promised fans they would soon be back with more fan events. Watch scenes form Day 6’s fan meeting at https://www.vlive.tv/video/97853.